From the Red light (stop) , is goes straight to the Green light (go). 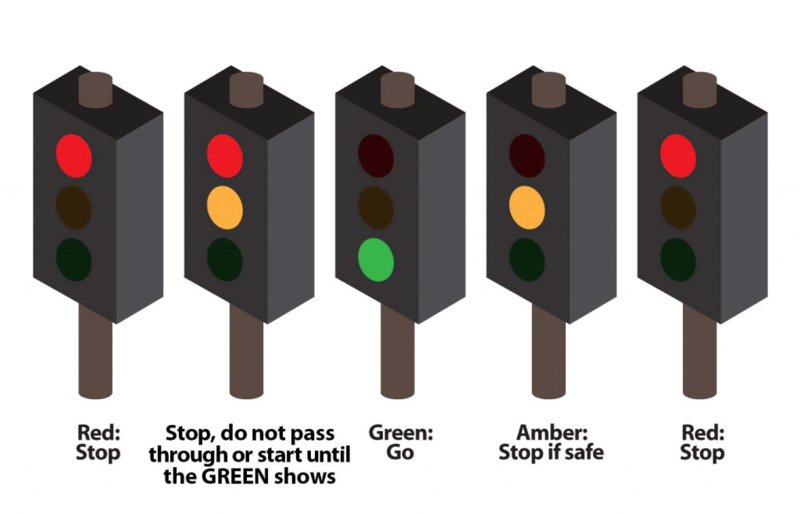 From the Green light, it goes to Amber (yellow) (stop if safe) and then Red (stop). From the Red light (Stop), the Red light stays on and it stays on at the same time as the Amber (yellow) light (get ready). Then, the Red and Amber (yellow) lights go out and the Green light (go) comes on. From Green it goes to Amber (yellow) and then to Red. 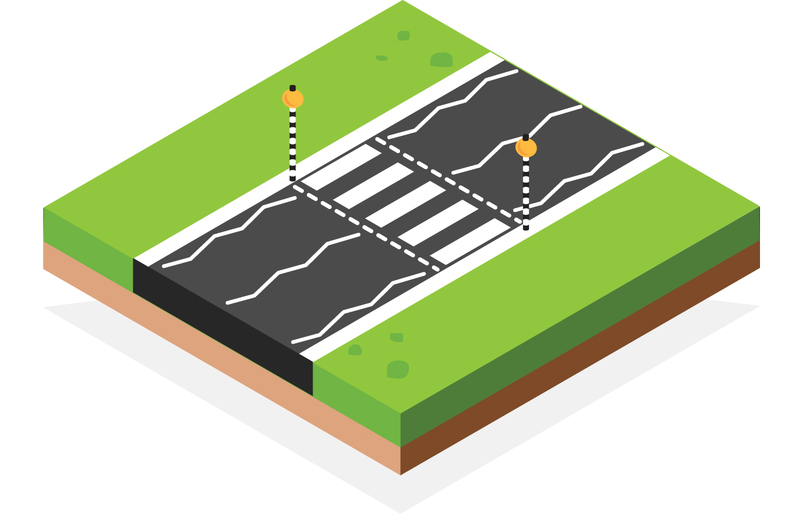 Approach zebra crossings with care. Check back and move from the secondary riding position to the primary riding position to block the road. 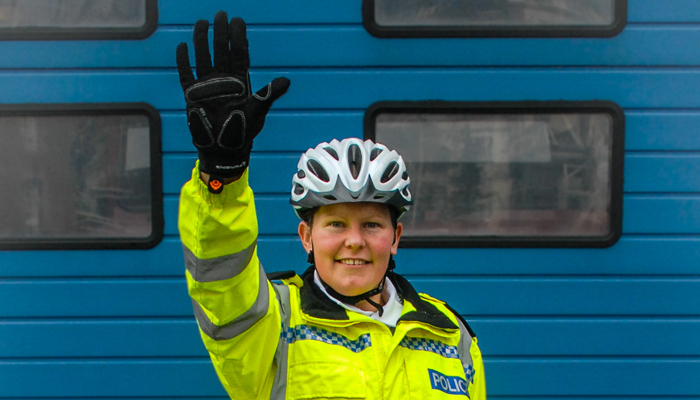 If you see someone who wants to cross at the zebra crossing, come to a controlled stop to let the pedestrian cross the road. Be careful when approching crossings in busy areas as pedestrians often cross without warning or looking. Remeber, they probably won’t hear you coming! 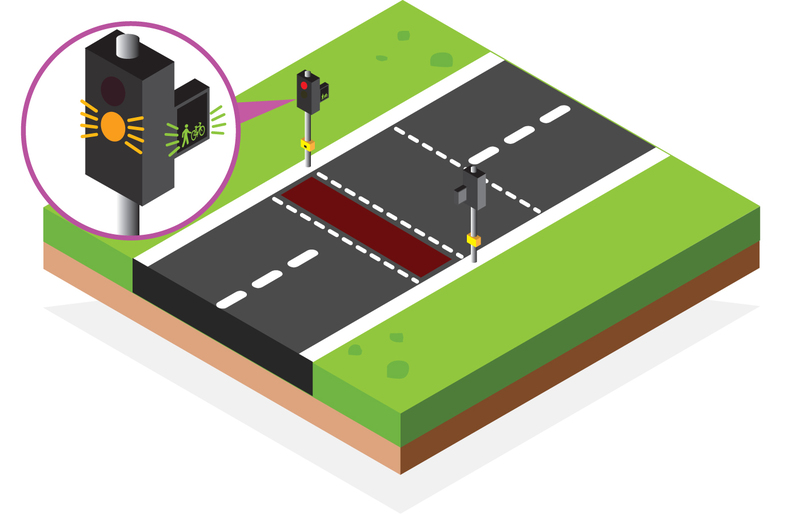 At pelican crossings, when someone presses the button to stop traffic, as the traffic light turns to red you must stop to let people cross the road. 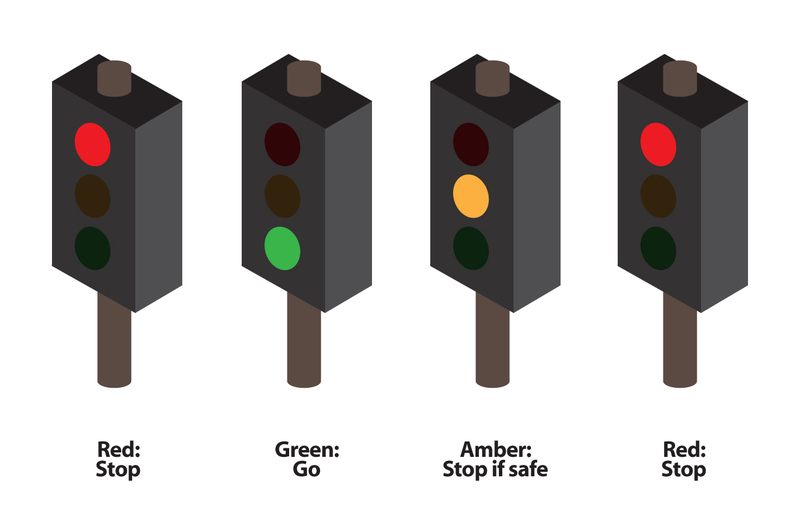 When the traffic light changes from red to a ‘FLASHING’ amber/yellow light, if there is no one crossing the road you may go. If people are still crossing the road you must wait until the road is clear of people. This is the only traffic light that you are legally allowed to ‘ride’ your bike across the road. 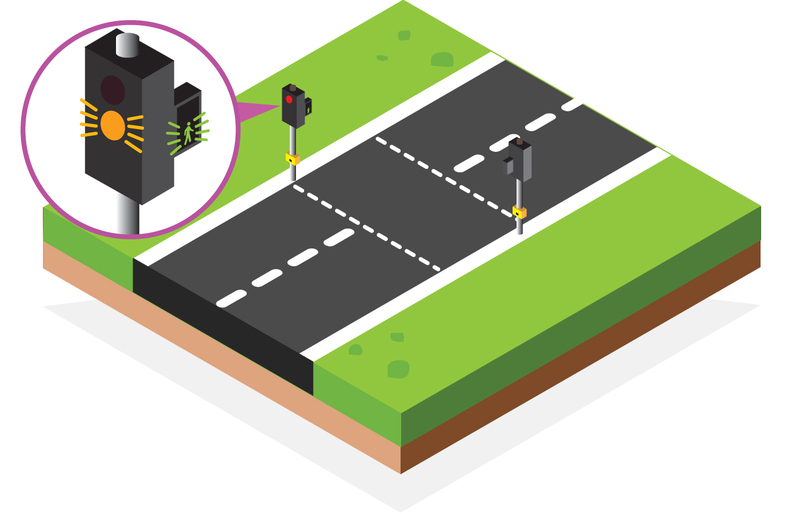 At all other pedestrian crossings, if you want to cross the road, you must push your bike across the road as a pedestrian. We don’t have any level crossings in Jersey. You will find them in the UK and continent. 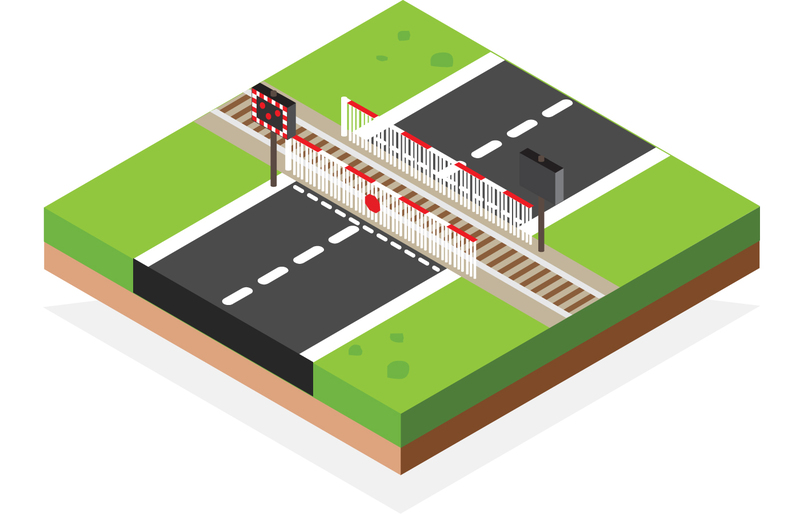 You should NEVER try to cross at one of these places when the barriers are down and the red lights are flashing. Stop. From front and behind. Red lights at the back mean the car is coming to a stop. 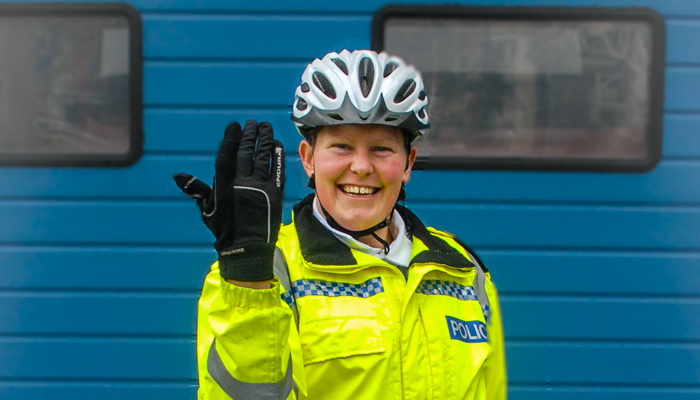 One or two white lights coming on at the back of a car mean it is about to reverse. 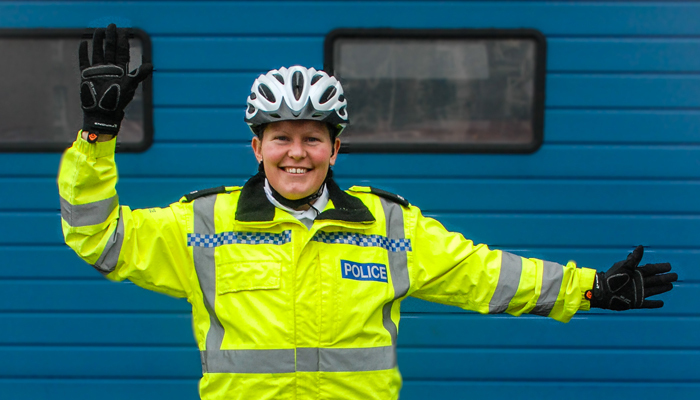 When a van or lorry reverses, you may also hear a beeping sound as well as seeing the white lights. An amber (yellow colour) light flashing on the right side, means the driver wants to turn right. 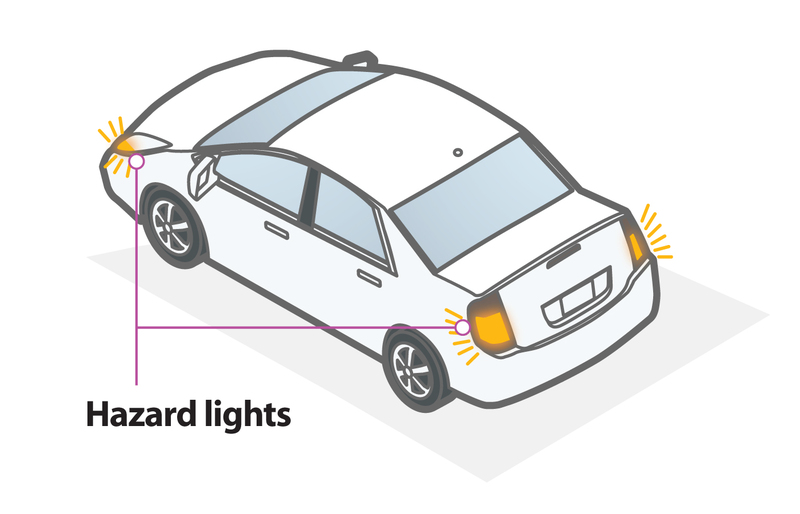 An amber light flashing on the left side, means the driver wants to turn left. These lights are at the front and back of the car. 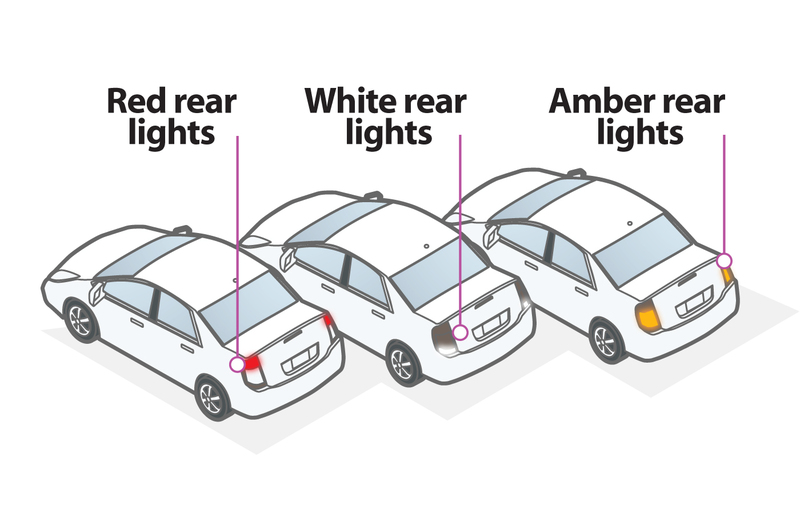 When the lights flash at the same time, these are called ‘Hazard Warning Lights’ and the driver is telling you they might be a hazard to you.